Hi Facebook friends. I keep hearing how expensive eyeglasses are. 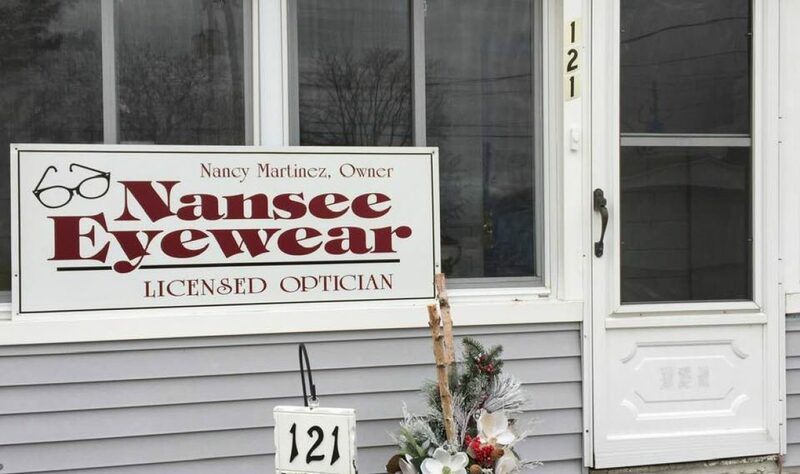 Well maybe it is time to come on over to NanSee EyeWear. Have you heard of digital lenses. Better optics, better lenses. FYI lenses are for you. FYI (for your i’s) progressive digital lenses. Best part you will see better and it won’t break the bank. Choose polycarbonate (thinner, lighter and more impact resistant, 100% UV, Scratch Resistant) in Transitions (Indoors to Outdoors) with two year warranty, anti glare ( better night vision and computer friendly) lens for $300. Many progressive lenses start at this price and go up from there with all the additional add on. This is my lens and it is what I wear. I priced it so all can afford it. No insurance allowed on this pricing and no discounts. Who needs it. Most times with insurance and all the add on you would pay more then this. I guess if there are any draw backs it would be the 7 to 10 day delivery time. I suggest you come in now so your ready for a new spring look. Come in with your prescription or not ( I will have it faxed from your doctor to my office). Just be sure it is less then two years old, under normal conditions it will be valid. Want to use your frame? If you can give it up for that amount of time, no problem. If not I have glasses starting at $69 that are progressive friendly. If you don’t want all the goodies added to your lenses they will be priced accordingly. Only why not get it all and treat yourself and your wallet, isn’t it time for you and your eyes to be beautiful?